OCW Educator is a faculty-inspired initiative that shares teaching approaches, insights, and materials with educators at MIT and around the world, for free. Sample the course materials and select multimedia of more than 2,300 rigorous undergraduate- and graduate-level courses from MIT, including MIT SHASS. The new online tool "Annotation Studio" promises to improve upon traditional techniques for entering marginalia and side notes in books — enabling readers not only to annotate texts across media, but also to share comments with others and to enhance them with links, images, video, and audio. "Digital Humanities: Topics, Techniques, and Technologies" gives MIT students the chance to pair humanities insights with technical know-how on projects with real-world applications. The initial class worked on innovations for the Institute of Contemporary Art and the Isabella Stewart Gardner Museum. MIT's already tech-savvy students are introduced to key digital humanities concepts, including data representation, digital archives, user interaction, and information visualization, then given opportunities to apply these to a variety of challenges. Students are able not only to conceptualize what kinds of tools might prove useful to their clients — they are also able to build them. The Global Shakespeares Video & Performance Archive is a collaborative project providing online access to performances of Shakespeare from many parts of the world as well as essays and metadata by scholars and educators in the field. An international, online research and educational community use the ever-growing archive, which currently includes a catalogue of 400 productions. HyperStudio explores the potential of new media technologies for the enhancement of education and research in the humanities. The work focuses on questions about the integration of technology into humanities curricula within the broader context of scholarly inquiry and pedagogical practice. A central goal is to provide individual digital humanities project participants flexibility in modeling, analyzing, and presenting their materials as they choose — while also allowing researchers to combine features from other projects in innovative ways. Led by Associate Professor of Digital Media Fox Harrell, the ICE Lab researches and develops subjective computing systems — artificial intelligence and cognitive science-based computing systems for creative expression, cultural analysis, and social change. Harrell's book Phantasmal Media (MIT Press, 2013) details how computing can create new forms of expression and culture. including examining how narrative imagining occurs at a fundamental cognitive level. The SHASS-based MIT Game Lab maintains MIT’s role as a leader in the study, design, and development of games. The award-winning lab creates groundbreaking games, interactive online courses, and new applications to real-world challenges. Modern games have brought the power of play to many endeavors — from entertainment to education, art to activism, science to socialization, and more. The MIT Game Lab explores the potential of play in all these realms, particularly as it is amplified by new technologies. Developed by Michael Cuthbert, the Homer A. Burnell Career Development Professor and Associate Professor of Music, music21 is a suite of tools for computer-aided musicology. The program, which allows musicologists and researchers to ask entirely new questions, has become the de facto standard for software music analysis. Applications include computational musicology, music information, musical example extraction and generation, music notation editing and scripting, and a wide variety of approaches to composition, both algorithmic and directly specified. Computers have transformed how we listen to, obtain, compose, and notate music. With the development of music21, they are also fundamentally changing how we research and analyze music. The Education Arcade explores games that promote learning through authentic and engaging play. Its mission is to demonstrate the social, cultural, and educational potentials of videogames by initiating new game development projects, coordinating interdisciplinary research efforts, and informing public conversations about the broader and sometimes unexpected uses of this emerging art form in education. Creative Director Scot Osterweil and his design team received Game of the Year Honors at the 2013 Games for Change Conference for their new game Quandary. Quandary is a free, online game where players, age 8-14, shape the future of a new society while learning how to recognize ethical issues and deal with challenging situations in their own lives. Directed by Professor Nick Montfort, Trope Tank is a lab for research, teaching, and creative production. It develops new understandings of digital media by focusing on the material, formal, and historical aspects of computation and language. Speaking of a recent collaborative book 10 Print, Montfort says, “We’re arguing that code is culturally significant — and that larger scale models of scholarship can be brought to bear on fundamental questions. The intersection of digital and humanities is not just in new modes of presenting scholarship, it’s not just in ways computer techniques can be used to study materials — it’s also in understanding the ways computation and digital media have been transforming the culture." Visualizing Cultures, launched at MIT in 2002, is a visionary project in the field of image-driven scholarship and learning. The project uses new technology and formerly inaccessible visual materials to reconstruct the past as people of the time visualized the world (or imagined it to be). Works to date focus on early-modern China, and Japan in the modern world, and extend beyond Asia per se to address culture in broader ways, including examining modernization, war and peace, consumerism, and images of "self" and "others." Wi-Phi online platform presents "philosophy's greatest hits"
The site presents more than a dozen short, entertaining video animations to accompany talks by top scholars on such timeless questions as whether humans have free will, whether god exists, and what is it for a sentence to be true. There is also a lively comments section. "A little philosophy could go a long way toward making the world a better place," says Damien Rochford, PhD. 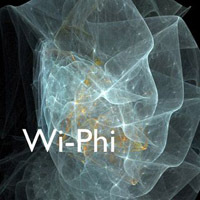 ’13, who, along with Gaurav Vazirani, founded Wi-Phi. The HASS Exploration (HEX) subjects are recommended as an option for all undergraduates to approach relevant topics from different disciplinary perspectives and methodologies within the humanities, arts, and social sciences. Faculty-led and team-taught, these subjects provide students with a superb opportunity to interact with faculty and upperclassmen. All HASS Exploration Subjects may be used towards the HASS Requirement. STS Associate Professor Natasha Dow Schüll developed a course that considers developments in neuroimaging, neuromarketing, neurocognitive enhancement, neuroethics, the brain and the law, psychopharmaceuticals, and the neuroscientific recasting of problems such as addiction and learning disabilities. Through readings, guest lectures by MIT faculty in the brain sciences, class discussion, and assignments, the course explores how neuroscience reflects, shapes, mediates, and transforms human experience, self-understanding, and society. This course provides an introduction to some central philosophical questions about the mind, specifically those that are intimately connected with contemporary psychology and neuroscience. The course is taught by Professor Alex Byrne, of the Department of Linguistics and Philosophy, and Professor Pawan Sinha, of the Department of Brain and Cognitive Sciences. Questions discussed in the course include: Are our concepts innate, or are they acquired by experience? (And what does it mean to call a concept ‘innate’?) Are ‘mental images’ pictures in the head? Is color in the mind or in the world? How can we perceive temporal duration? Is the mind nothing more than the brain? Can there be a science of consciousness? Guest speakers have included Professors Ned Block (NYU), Susan Carey (Harvard), David Chalmers (ANU/NYU), Ted Gibson (MIT), Richard Held (MIT), David Hilbert (UIC), Chris Hill (Brown), Sean Kelly (Harvard), Stephen Kosslyn (Stanford), and Jesse Prinz (CUNY). This course was designed by the Anthropology faculty as a whole and is co-taught every year. The course introduces students to theoretical debates on the meaning and use of the concept of culture using historical materials and contemporary examples from around the globe. Students also learn empirical methods of cultural inquiry and analysis by evaluating a diverse array of materials, including first-hand observations, synthesized histories and ethnographies, quantitative representations, and visual and fictionalized accounts of human experiences. The course critically engages contemporary representations of "culture" in popular media and scholarly disciplines (e.g. economics, political science, history, medicine, literary studies, sociology, and anthropology). Students also conduct empirical research alone and in groups. Taught by Esther Duflo and Dave Donaldson, this course is designed for students who are interested in the challenges posed by massive and persistent world poverty. 14.73 examines extreme poverty over time, and from many perspectives, to explore: whether poverty is still a threat; why some countries grow fast and others fall further behind; if growth or foreign aid help the poor, and if so, how to diminish corruption; whether markets or NGOs should be left to deal with poverty; when and where to intervene; and how to deal with the disease burden and improve schools. This class has also been adapted into an MITx/edX version. In 2008–2009, David Mindell, Director of the Program in Science, Technology, and Society (STS), formed a committee to undertake a comprehensive review of the department’s undergraduate curriculum. With the support received from the SHASS Teaching and Learning Fund, STS implemented the committee's recommendations. The funds were primarily used to give instructors resources to modify Tier I subjects to fit the introductory class model. These included The Rise of Modern Science (STS.003), Technology in History (STS.007), Technology and Experience (STS.008) and Ethics & Politics in Science & Technology (STS.011). Professors Natasha Schüll and Rosalind Williams modified the STS “Capstone” class into a more substantive “Critical Issues” seminar. Funds were also used for research support while developing a new course, The History of MIT (STS.050), led by Professors David Mindell and Merritt Roe Smith. The funds helped another new class, Science and the Cinema: Experiments on Film (STS.056), get off to a strong start by providing Professor Hanna Rose Shell with equipment and technical support. Professors Arthur Bahr, William Broadhead, and Eric Goldberg developed this team-taught course to introduce students to the interdisciplinary field of Ancient and Medieval Studies, for which there is considerable interest and enthusiasm among MIT undergraduates. The goal of the course is to expose students to the varied methodologies scholars use—archeological, art historical, codicological, historical, literary, numismatic, and paleographical—to study ancient and medieval civilizations. Classes center around class discussion among the professors and students, augmented by short lectures and audio-visual presentations of art, material objects, music, maps, and archeological sites. Each class highlights overarching themes, including representations of imperial power, imperial courts, imperial poetry (especially Virgil), and the power of women in imperial families. Literature professors Stephen Tapscott and Noel Jackson brought together sections of Reading Poetry in the 2010–2011 academic year for four special events per term. To widen the range of the subject, instructors sponsored visits to poetry slams, excursions to films and to local poetry readings, visits from professors and visiting scholars representing a variety of literary traditions, and have had musicians to come to class to perform settings and to discuss the relationship between poetry and music. On several occasions students gathered for screenings of films featuring poets and poetry on screen. Drawing on the Singapore-MIT GAMBIT Game Lab’s expertise and resources for creating video games, this course is taught by a team of game developers and computer programmers, offering students the chance to work in small teams to design, develop, and test their own original digital games. Creative design and production methods are explored through all aspects of video game development, including game design, audio design, visual aesthetics, fiction and programming. Students support and challenge their game design decisions with focus testing and data analysis, and in the process find ways to make creative use of constraints. In addition to covering the ‘tricks of the trade’, the course emphasizes participation, teamwork, critical analysis and presentation skills. An interdisciplinary subject, “The War at Home” was launched in Spring 2012 by Professors Adam Berinsky in Political Science and Christopher Capozzola in History. The seminar course equips students with knowledge about the impact of war on 20th and 21st-century U.S. society and with analytical skills from the humanities and social sciences to help them think systematically about critical matters of war and peace. Designed to function equally as a “gateway” subject for future majors and minors, and as a broad survey for students who will not do further coursework in SHASS, “The War at Home” is a rich addition to the MIT curriculum and a model for future HASS Exploration classes. The Gender and Technology course has two primary goals: to enrich student experience in scholarship and to enhance collaborative teaching and research opportunities in this field. A pilot version of the course was offered in spring 2011 by Kim Surkan. Students engaged in the course have the opportunity to discuss and work through ideas about how technology is gendered, applying key concepts in the development of final research projects focused on an area of interest to them. Students are also encouraged to review existing MIT research projects, such as those engaged in by D-Lab students, in light of theories about gender and technology discussed in class. Shakespeare is the most often performed playwright in the world, and in the digital age has become a central figure in emerging forms of cross-cultural artistic exchange. The MIT Global Shakespeare in Performance Intitiative draws on live performances as well as a large archive of production videos and films in many languages to enhance the teaching of Shakespeare across the MIT Humanities curriculum and, increasingly, through the world. Collaborators are located in Taiwan, India, Japan, Brazil, Korea and the Arab World, and the programming includes MIT professors sharing classes, lectures by collaborators through video conferencing or classroom visits. On-line video annotation tools allow students to capture, replay and annotate significant moments in productions from across the globe. Anthropology engaged in a substantive review of course offerings, enrollments, and communications with students and MIT as a whole. A variety of opportunities for new and revised courses emerged, including a course about capitalism and a series of field research workshops for students conducting research overseas. Interviews with students provided a great deal of useful information, particularly about how Anthropology can improve its communication with the student body, and about the valuable experiences students have in Anthropology courses. Faculty interviews raised a number of new ideas for courses, and also revealed the shared vision among the faculty about what Anthropology can offer to students, and to the broader MIT community. The Japanese Very Fast Track (VFT) was first taught in Spring 2011. Composed of two half-semester courses, VFT doubles classroom time from four to eight hours, and nearly triples the material covered. By the end of the course, students learn the equivalent of two years of Japanese in the regular track. The Chinese VFT was first taught in Spring 2012. Professor Jin Zhang and others have been looking at potentially useful existing technologies, including voice-activated search in Google, GPS, and Chinese character writing applications that are sensitive to stroke order. Professor Shigeru Miyagawa has been developing a series of brain-imaging experiments with Dr. Miwako Hisagi, a research scientist in CSAIL. Miyagawa will be looking at correlations of ERP brain imaging with memory, length of study of a language, pace of study, localization within the brain, and the effectiveness of various learning applications. In a partnership between Literature and the HyperStudio at MIT, Wyn Kelley, Senior Lecturer in Literature, and Kurt Fendt, Director of HyperStudio, proposed and developed a new pedagogical tool called MIXIMIZE: Editing for Readers. Kelley and Fendt found that students can more actively engage in critical reading, writing, and thinking when they see themselves as editors directly responsible for making a text readable: not just producing a correct text, as copy-editors must, but providing a full apparatus of introductions, annotations, and other explanatory material that open a text up to a wide variety of users. MIXIMIZE has since evolved into the highly successful MIT SHASS-developed Annotation Studio program, which is being adopted nationally. In an effort to make the previous world history course more global in scope and orientation, a SHASS faculty team (from History, Literature, Foreign Languages and Literatures, and Anthropology) collaborated to create a reformulate class subject that is at once less Eurocentric and more informed by the methodologies of multiple disciplines. Beginning in the Spring of 2011, the group first assembled a preliminary collection of reading materials, potential teaching materials, and primary source materials. They then planned a nine-segment internal workshop series during 2011–12, each segment on a different aspect of the course. Experts shared innovative lectures or reading materials with the whole group. What is produced in an economy? How is it produced? Who gets the product? Microeconomics seeks to answer these fundamental questions about markets. In this course, we’ll introduce you to microeconomic theory, together with some empirical results and policy implications. You’ll analyze mathematical models that describe the real-world behavior of consumers and firms, and you’ll see how prices make the world go ‘round. What is the relationship between the mind and the body? Can computers think? Do we perceive reality as it is? Can there be a science of consciousness? This course explores these questions and others. It is a thorough, rigorous introduction to contemporary philosophy of mind. According to many scientists and philosophers, explaining the nature of consciousness is the deepest intellectual challenge of all. If you find consciousness at all puzzling, this is a great place to start learning more. MIT Philosopher Caspar Hare presents the first introductory philosophy MOOC offered by an American university. In "24.00x, Introduction to Philosophy: God, Knowledge and Consciousness," Hare leads students through the fundamental questions that underlay our understanding of existence, while grounding them in the basic practices of analytical philosophy. A project-based course that guides students through creating a novel mobile application — from generative research to design, usability, implementation and field evaluation. JPAL101x provides a thorough understanding of how randomized evaluations can be used to evaluate social and development programs. Through a combination of lectures and case studies from real randomized evaluations, the course focuses on the benefits and methods of randomization, choosing an appropriate sample size, and common threats and pitfalls to the validity of the experiment. This is a course for those who are interested in the challenges posed by massive and persistent world poverty. The questions taken up include: Is extreme poverty a thing of the past? What is life like when living under a dollar per day? How do we make schools work for poor citizens? Is microfinance invaluable or overrated? Does foreign aid help or hinder? And many others. At the end of this course, students should have a good sense of the key questions asked by scholars interested in poverty today — and how to become part of the solution to global poverty. The first MITx/HarvardX collaboration, Visualizing Japan (VJx) opens windows on Japan’s transition into the modern world through the historical visual record. The course is based on the MIT Visualizing Cultures website devoted to image-driven research on Japan and China since the 19th century. The introductory module considers methodologies historians use to “visualize” the past, followed by three modules that explore the themes of Westernization, in Commodore Perry’s 1853-54 expedition to Japan; social protest, in Tokyo’s 1905 Hibiya Riot; and modernity, as seen in the archives of the major Japanese cosmetics company, Shiseido. Students in this class will study a cluster of puzzles, paradoxes, and intellectual wonders, and discuss their philosophical implications. The topics covered include time travel, free will, infinity, computability, and Gödel’s Theorem. In this course, students will study the different facets of human development in topics such as education, health, gender, the family, land relations, risk, informal and formal norms, public policy, and institutions. Among the questions considered will be: What determines the decisions of poor households in developing countries? What constraints are poor households subject to? What policies have been tried? Have they succeeded? An introduction to the basic methods of game design, this course includes defining and analyzing games and their mechanics, and understanding how mechanics affect gameplay and player experiences. Practical assignments include creating both paper and digital prototypes, using user testing to find points of failure and iterative design processes to revise and improve overall gameplay.